This is Lucy, our blanket tester. She was in a motorized scooter basket and this was a comfy addition. 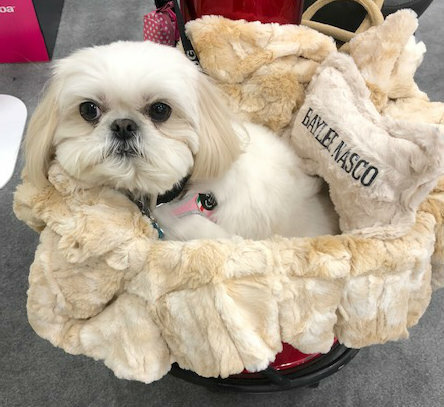 As you can see, the Baylee Nasco's Beige Rabbit with Cream Crocodile Blanket passed her test!